Ranging across novels and poetry, critical theory and film, comics and speeches, Race, Ethnicity and Nuclear War: Representations of Nuclear Weapons and Post-Apocalyptic Worlds explores how writers, thinkers, and filmmakers have answered the following question: are nuclear weapons ‘white’? Many texts respond in the affirmative, and arraign nuclear weapons for defending a racial order that privileges whiteness. They are seen as a reminder that the power enjoyed by the white western world imperils the whole of the Earth. Furthermore, the struggle to survive during and after a speculated nuclear attack is often cast as a contest between races and ethnic groups. Race, Ethnicity and Nuclear War listens to voices from around the Anglophone world and the debates followed do not only take place on the soil of the nuclear powers. Filmmakers and writers from the Caribbean, Australia, and India take up positions shaped by their specific place in the decolonizing world and their particular experience of nuclear weapons. The texts considered in Race, Ethnicity and Nuclear War encompass the many guises of representations of nuclear weapons: the Manhattan Project that developed the first atomic weapons, the destruction of Hiroshima and Nagasaki, nuclear tests taking place around the world, and the anxiety surrounding the superpowers’ devastating arsenals. Of particular interest to SF scholars are the extensive analyses of films, novels, and short stories depicting nuclear war and its aftermath. New thoughts are offered on the major texts that SF scholars often return to, such as Philip Wylie’s Tomorrow! and Pat Frank’s Alas Babylon, and a host of little known and under-researched texts are scrutinized too. An Open Access edition of this work is available on the OAPEN Library. Ranging across novels and poetry, critical theory and film, comics and speeches, Race, Ethnicity and Nuclear War explores the ways in which writers, thinkers, and filmmakers have answered the following question: are nuclear weapons 'white'? Many texts respond in the affirmative, and arraign nuclear weapons for defending a racial order that privileges whiteness. They are seen as a reminder that the power enjoyed by the white Western world imperils the whole of the Earth. Furthermore, the struggle to survive during and after a putative nuclear attack is often cast as a contest between races and ethnic groups. This book listens to voices from around the Anglophone world and the debates followed do not take place only on the soil of the nuclear powers. Filmmakers and writers from the Caribbean, Australia, and India take up positions shaped by their specific place in the de colonizing world and their particular experience of nuclear weapons. The texts considered in Race, Ethnicity and Nuclear War encompass the many guises of representations of nuclear weapons: the Manhattan Project that developed the first atomic weapons, the destruction of Hiroshima and Nagasaki, nuclear tests taking place around the world, and the anxiety surrounding the superpowers' devastating arsenals. Of particular interest to SF scholars are the extensive analyses of films, novels, and short stories depicting nuclear war and its aftermath. New thoughts are offered on the major texts that SF scholars often return to, such as Philip Wylie's Tomorrow! and Pat Frank's Alas Babylon, alongside analysis of a number of little known and under­researched texts. A good book, addressing itself to a neglected area of an important topic. Williams draws on an impressively broad and diverse range of nuclear texts for his study and has some intelligent observations to make. His readings of literary and filmic texts are detailed and enlightening. 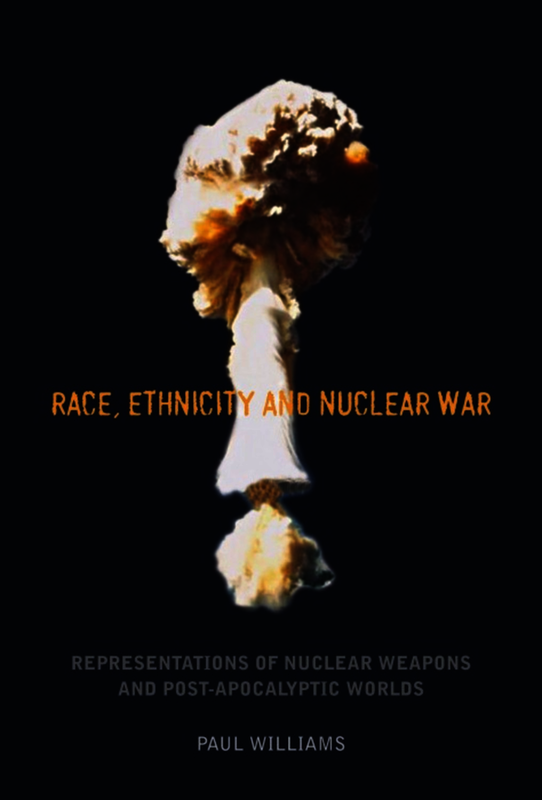 Williams manages to significantly extend readings of race and ethnicity in relation to the representation of nuclear war, and he treads new ground in his reading of some works, particularly contemporary ones. His combination of theoretical approaches and literary analysis also makes this an invaluable resource for those seeking to understand the logic of postcolonial science fiction. This is a must-read book. Lecturer in English at the University of Exeter, and the author of 'Paul Gilroy' (Routledge, 2013) and co-editor (with JT Lyons) of 'The Rise of the American Comics Artist: Creators and Contexts' (University Press of Mississippi, 2010).